So far Boris Kreychman has created 14 blog entries. 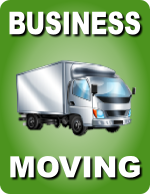 Commercial moving jobs present a different set of circumstances than any other type of move. All business owners know that time is money and trusting the relocation of your business to inexperienced movers could be a very bad thing.